Fifteen of the finest team up stories from 1954 to 1985. Superman, Batman, Green Arrow, Flash, Aquaman, JLA, many more. Art by Neal Adams, Murphy Anderson, Ramona Fradon, Carmine Infantino, Alex Toth, and others. 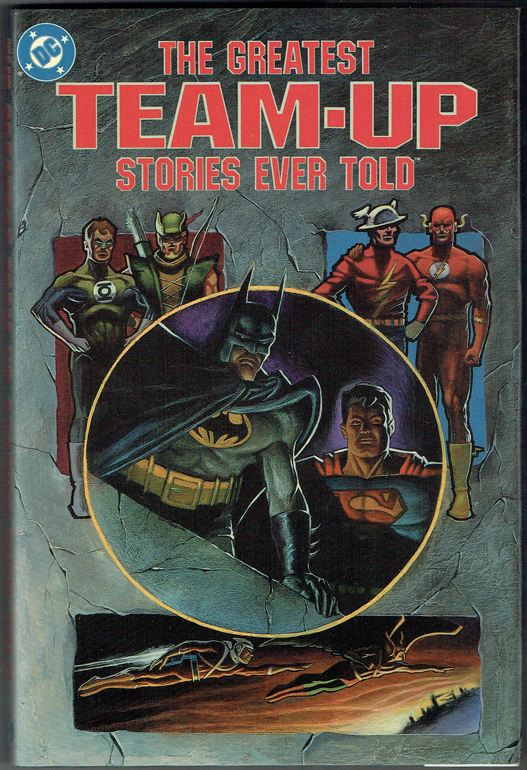 With a Foreword by Julius Schwartz and an Introduction by Mike Gold about the history of crossovers and team ups. Neal Adams, Murphy Anderson, Alex Toth, et al. Adams, Murphy Anderson, Alex Toth, et al.